All magnificent rooms are made of details, that’s what makes any space stand out and be unique. 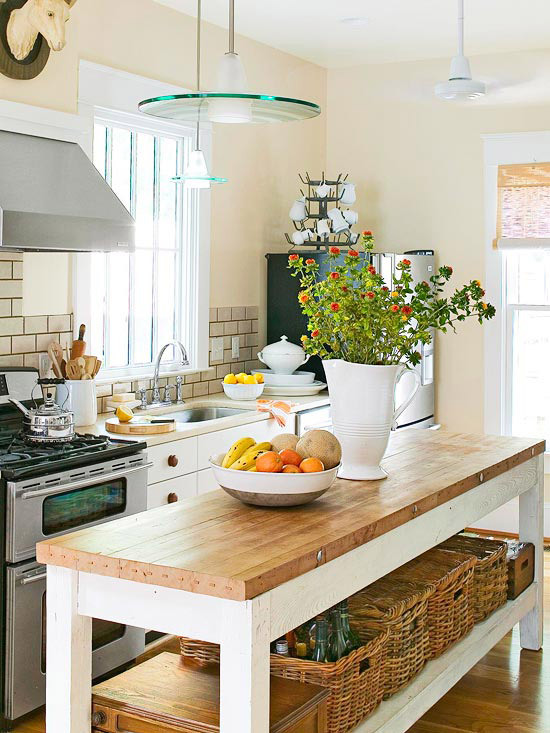 That is why we gathered these next 12 examples of nice details you can add to your kitchen. It will be the envy of all your fellow cooks! Open shelves are not only practical, but also provide an excellent opportunity to display your best kitchen items. 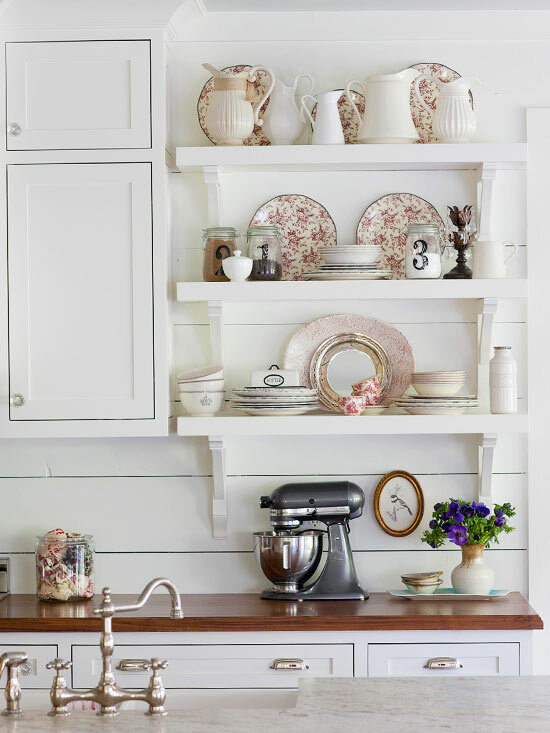 Choose white shelving units and decorate them with your best vintage dishware. 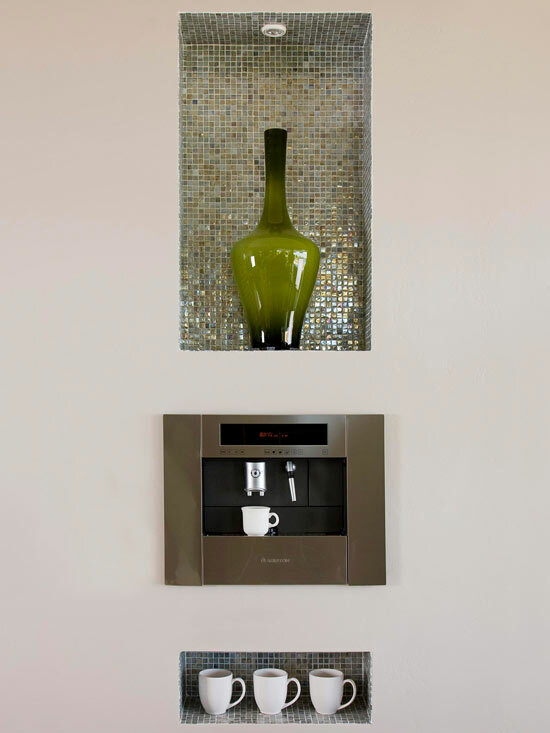 Enhance the amount of natural light in your kitchen by creating a glass backsplash. It’s still resistant to water and moist and easy to clean, but with other advantages. 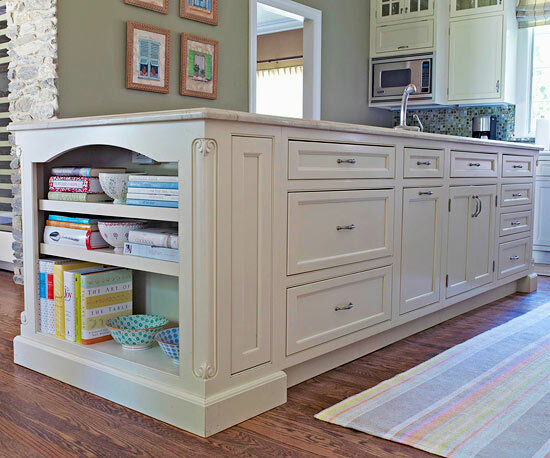 Choose kitchen cabinets with open storage and use it to display your cooking books. 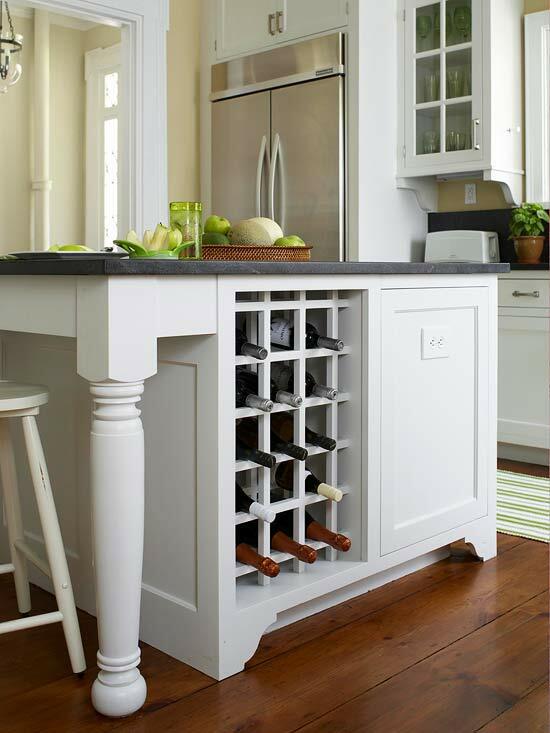 Why not exchanging an ordinary enclosed cabinet for a nice built-in wine rack. Even if you don’t like wine, you can always fill the rack with mineral water, juices or other bottles for a splash of color. 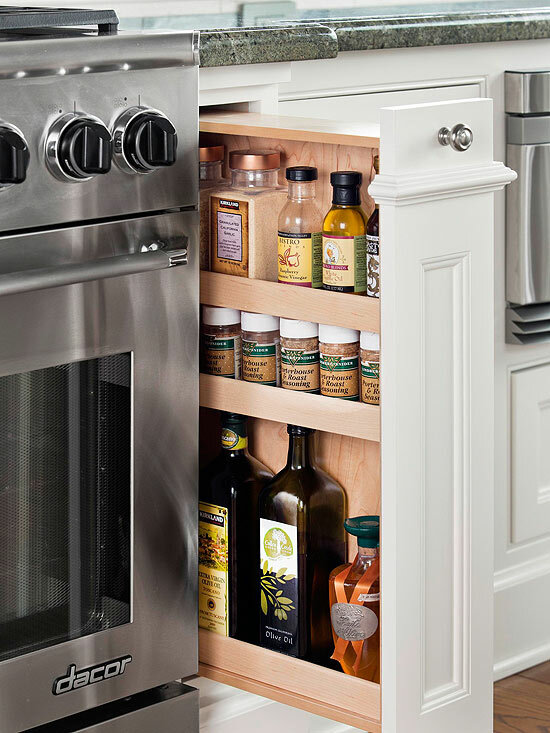 Your island storage doesn’t need to be enclosed. Remove some cabinet doors and get a few baskets to keep part of your groceries. It will give a nice rustic look to your kitchen. 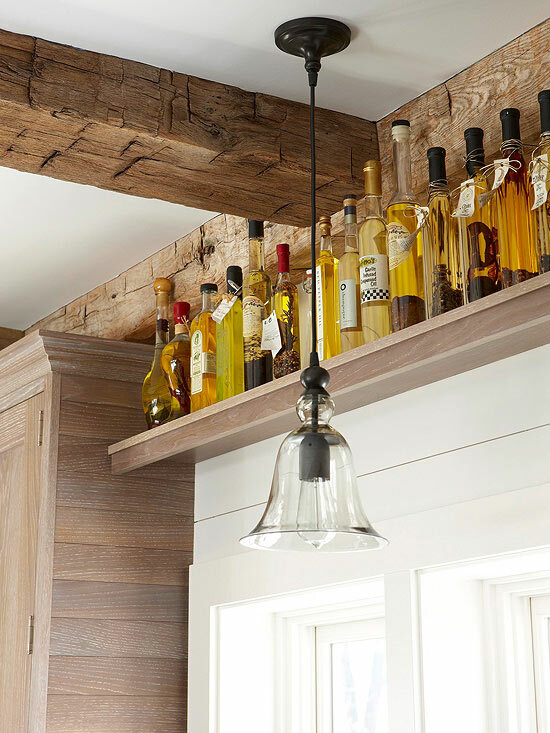 Top a window or a passageway between rooms with your collection of olive oil bottles, for instance, especially if your kitchen has a rustic look. It will draw the visitors’ eyes up every time! Organize your spice collection with a sliding rack like this one. It’s really useful when it comes to gather in one place the small bottles and packages. Make sure it stays near the food preparation area. 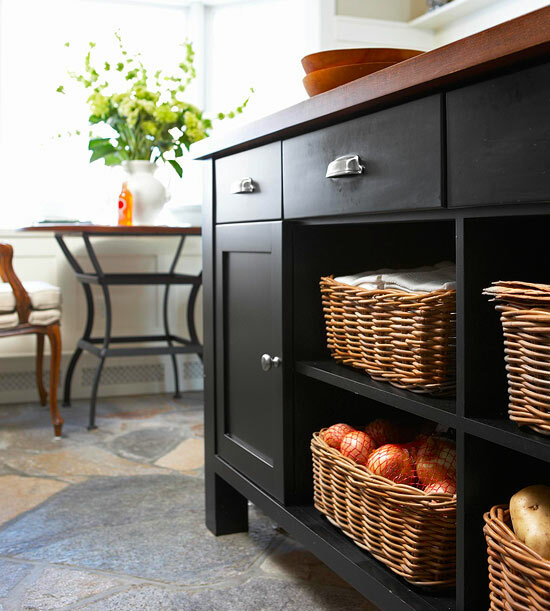 Disguise your kitchen clutter by getting some baskets and gathering all the items. Besides looking good in a kitchen, the baskets will add texture to the room decor. Add some drama to your kitchen by complementing your decoration with a visually interesting piece. 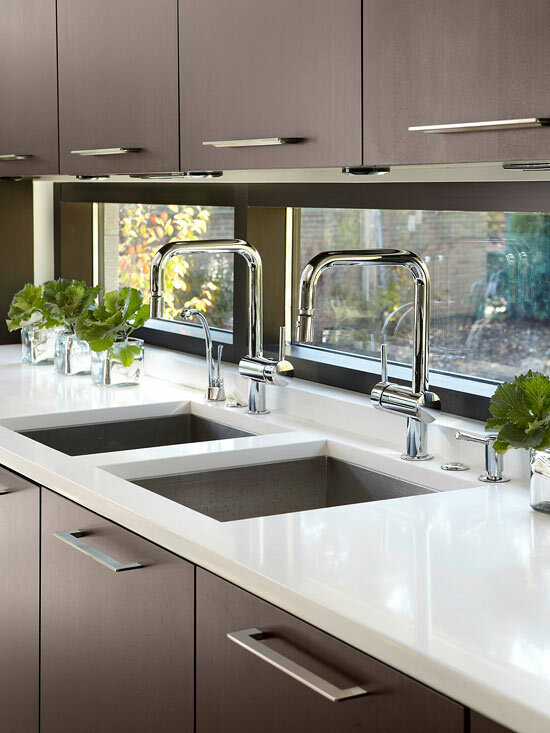 If you have a small kitchen, you can use the vertical space by choosing big cabinets that can be supported by your countertops. 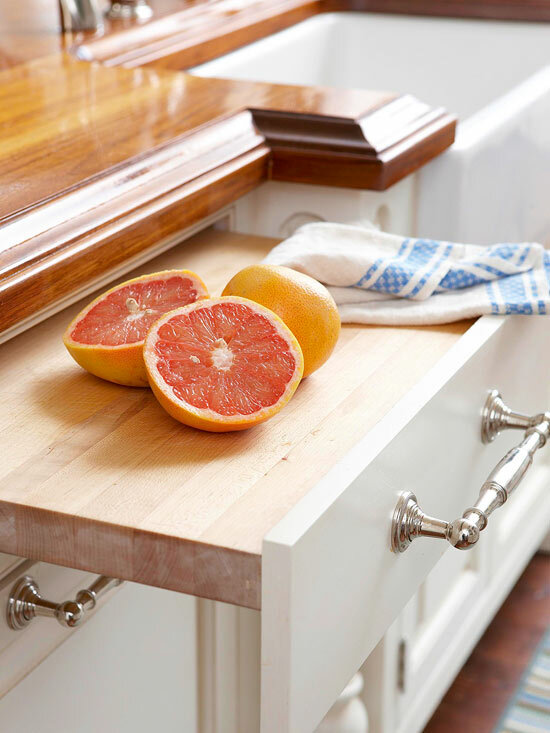 Make sure you always know where your cutting board is by choosing a built-in model. This one is perfect and very convenient! 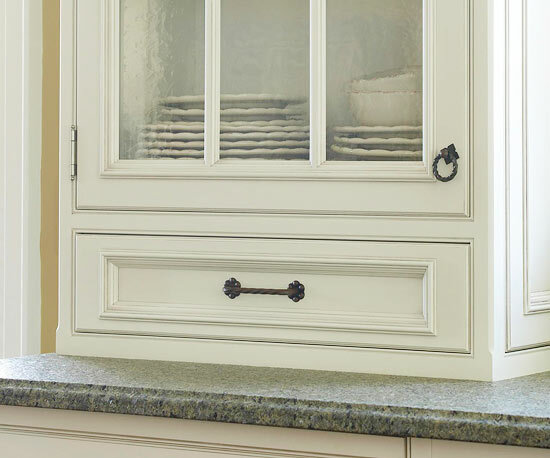 A set of cabinets with two different colors can add a lot of visual interest to your kitchen. 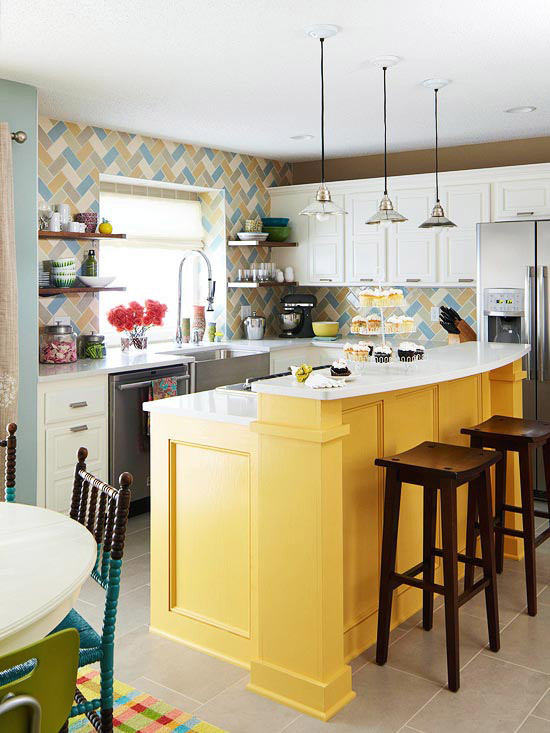 You can choose neutral furniture and then paint the island with a different color. It will bright the space up.